Inside Tasmania: Who Is Killing The World's Bankers And Why? Who Is Killing The World's Bankers And Why? Exposing what lies beneath the bodies of dead bankers and what lies ahead for us. I feel that this is one of the most important investigations I’ve ever done. If my findings are correct, each of us might soon experience a severe, if not crippling blow to our personal finances, the confiscation of any wealth some of us have been able to accumulate over our lifetimes, and the end of the financial world as we once knew it. The evidence to support my findings exists in the trail of dead bodies of financial executives across the globe and a missing Wall Street Journal Reporter who was working at the Dow Jones news room at the time of his disappearance. If the bodies were dots on a piece of paper, connecting them results in a sinister picture being drawn that involves global criminal activity in the financial world the likes of which is almost without precedent. It should serve as a warning that we are at the precipice of something so big, it will shake the financial world as we know it to its core. It seems to illustrate the complicity of big banks and governments, the intelligence community, and the media. Although the trail of mysterious and bizarre deaths detailed below begin in late January, 2014, there are others. Not only that, there will be more, according to sources within the financial world. Based on my findings, these are not mere random, tragic cases of suicide, but of the methodical silencing of individuals who had the ability to expose financial fraud at the highest levels, and the complicity of certain governmental agencies and individuals who are engaged in the greatest theft of wealth the world has ever seen. It is often said that life imitates art. In the case of the dead financial executives, perhaps death imitates theater, or more specifically, the movie The International, which was coincidentally released in U.S. theaters exactly five years ago today. We are told by the media that the untimely deaths of these young men and men in their prime are either suicides or tragic accidents. We are told what to believe by the captured and controlled media, regardless of how unusual or unlikely the circumstances, or how implausible the explanation. Such are the hallmarks of high level criminality and the involvement of a certain U.S. intelligence agency intent on keeping the lid on money laundering on a global scale. Obviously, it is important that this topic is approached with the utmost respect for the families of those who died, that they be allowed to grieve for the loss of their loved ones in private. However, it is extremely important that the truth about what is happening in the global financial arena is not kept from us, as we will also be victims of a different nature. MISSING: David Bird, 55, long-time reporter for the Wall Street Journal working at the Dow Jones news room, went for a walk on Saturday, January 11, 2014 near his New Jersey home and disappeared without a trace. Mr. Bird was a reporter of the oil and commodity markets which happened to be under investigation by the U.S. Senate Permanent Subcommittee on Investigations for price manipulation. DECEASED: Gabriel Magee, 39, a JP Morgan employee, died after reportedly “falling” from the roof of its European headquarters in London in the Canary Wharf area. Magee was vice president at JPMorgan Chase & Co’s (JPM) London headquarters. Gabriel Magee, a Vice President at JPMorgan in London, plunged to his death from the roof of the 33-story European headquarters of JPMorgan in Canary Wharf. Magee was involved in “Technical architecture oversight for planning, development, and operation of systems for fixed income securities and interest rate derivatives” based on his online Linkedin profile. It’s important to note that JPMorgan, like Deutsche Bank, is under investigation for its potential involvement in rigging foreign exchange rates. JPMorgan is also reportedly under investigation by the same U.S. Senate Permanent Subcommittee on Investigations for its alleged involvement in rigging the physical commodities markets in the U.S. and London. “According to numerous sources close to the investigation of Gabriel Magee’s death, almost nothing thus far reported about his death has been accurate. This appears to stem from an initial poorly worded press release issued by the Metropolitan Police in London which may have been a result of bad communications between it and JPMorgan or something more deliberate on someone’s part.” [Emphasis added]. No solid evidence exists currently to suggest that the death was a suicide. In fact, there is a strong piece of evidence pointing in the opposite direction. Magee had emailed his girlfriend, Veronica, on the evening of January 27 to say that he was about to leave the office and would see her shortly. [Emphasis added]. If Magee became aware that incriminating emails, instant messages, or video teleconferences were not turned over in their entirety to Senate investigators or Justice Department prosecutors, that might be reason enough for his untimely death. Looking at the death of Magee in the context of a larger conspiracy, it is difficult not to suspect foul play and media manipulation. DECEASED: Mike Dueker, 50, who had worked for Russell Investment for five years, was found dead close to the Tacoma Narrows Bridge in Washington State. Dueker was reported missing on January 29, 2014. Police stated that he “could have” jumped over a fence and fallen 15 meters to his death, and are treating the case as a suicide. Before joining Russell Investments, Dueker was an assistant vice president and research economist at the Federal Reserve Bank of St. Louis from 1991 to 2008. There he served as an associate editor of the Journal of Business and Economic Statistics and was editor ofMonetary Trends, a monthly publication of the St. Louis Federal Reserve. In November 2013, the New York Times reported that Russell Investments was one of several investment companies that were under subpoena from New York State regulators investigating potential “pay-to-play” schemes involving New York pension funds. One must look back far enough to understand the enormity of the lie and the criminality of bankers and governments alike. We must understand the legal restraints that were severed during the Clinton years and the congress that changed the rules regarding financial institutions. We must understand that the criminal acts were bold and bipartisan, and were designed to consolidate wealth through the destruction of the middle class. All of this is part of a much larger plan to establish a one world economy by “killing” the U.S. dollar and consequently, eradicating the middle class by a cabal of globalists that existed and continue to exist within all sectors of our government. The results will be crippling to not just the United States, but the entire Western world. What began decades ago is now becoming more transparent under the Obama regime. Perhaps that’s the transparency Obama promised, for we’ve seen little else in terms of transparency with regard to the man known as Barack Hussein Obama. For those not locked into the captured corporate media, we’re starting to see the truth emerging. The truth is that we’ve been living under a giant Ponzi scheme and we, the American citizens, are the suckers. As illustrated by the list of dead bankers above, however, the power elite need a bit more time before the extent of their criminality is revealed. The need a bit more time to transfer the remaining wealth from middle-class America to their private coffers. Timing is everything, and a magic act only works when all props are in place before the illusion is performed. 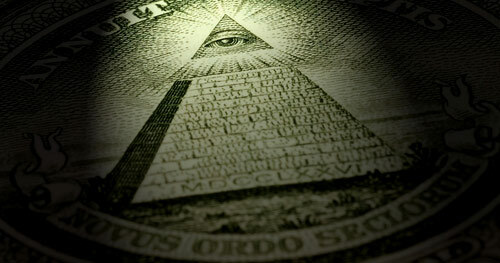 Only when their timing is right will the slumbering Americans realize the extent of the illusion by which they’ve been entranced, at which time they will be forced into submission to accept a financial reset that will ultimately subjugate them to a global economy. I contend that this is the reason for the recent spate of deaths, for those who met their tragic and untimely end had the ability to expose this nefarious agenda by what they knew or discovered, or what they would reveal under subpoena and the damage they could cause to the globalist financial agenda. It is an insult to the public intellect that the media so readily pushes the official line that the deaths were all suicides given the unusual circumstances surrounding nearly all of those listed. This itself should be ringing alarm bells with anyone of reasonable sensibilities, or at last those who are paying the slightest bit of attention to the larger picture. The media is either complicit or completely inept. While incompetence is evident in many areas, even the most inept journalist or media company cannot possible deny what exists directly in front of them. They can only withhold the truth. To understand what is taking place, I contacted a financial source who has accurately predicted many events that we are now seeing taking place, including the deaths of certain financial people for an explanation. In fact, he actually predicted that we would see a “clean-up” of individuals who posed a serious threat to certain too-big-to-fail-or-jail banks and “banksters” a full week before the events began to unfold. Truth be told, I initially greeted his prediction with some skepticism, for such things don’t really happen in the real world, or so the obedient and well-managed media tells me. “V, The Guerrilla Economist” as he is known in the alternative media, has provided numerous insider alerts for Steve Quayle‘s website and has appeared as a regular guest on The Hagmann & Hagmann Report. He has an undeniable track record for accuracy, which has earned my respect. However, I thought that he had taken temporary leave of his senses when he twice suggested that there will be some house cleaning done of anyone posing a threat to the agenda of certain banks and the globalist agenda on our broadcasts of November 20, 2013 and again on January 10, 2014. In a separate venue, he described what was about to take place by using the analogy of the movie The International. Several dead bodies and a missing journalist later, that analogy has been proven accurate. The fact is that we are seeing a clean-up where JPMorgan and Deutsche Bank seems to appear at the epicenter of it all. In January, JPMorgan admitted facilitating the Bernie Madoff Ponzi scheme by turning its head to his activities. Despite this admission, the U.S. Department of Justice under Eric Holder declined to send anyone to jail under a deferred prosecution agreement. Yet this is only the proverbial tip of the iceberg. In March, 2013, the U.S. Senate Permanent Subcommittee on Investigations released a heavily redacted 307-page report detailing the financial irregularities surrounding the actions of JPMorgan and the deliberate withholding of critical financial information by JPMorgan. Prominent in the mix are the actions of Bruno Iksil, who earned the nickname the “London Whale,” for his “casino bets” of others money that caused billions of dollars in losses. Yet, no cooperation was provided by Dimon’s foot soldiers as they failed to testify or otherwise cooperate with Senate investigators. Remember the damage control and the deliberate downplaying by Jamie Dimon, who maintained that there was nothing to see here with regard to the “London Whale” criminal activities? What was originally described as a loss of perhaps $2 billion ultimately turned into many more times that, yet the actual numbers are still hidden from the public. Such events occurred under the noses of numerous financial executives who had knowledge that went undisclosed. As we fast forward to today and the current spate of mysterious deaths, we begin to see that many of those who died existed on the periphery of events in the criminal actions of the financial industry. Moreover, it is reasonable to conclude that they possessed knowledge that if disclosed, could have interrupted the magic act taking place for the awestruck audience, captivated by the carefully crafted words of Yellen, her predecessors and the operatives within government who’s duty it is to regulate whatever is left of our current financial system. That regulation is now a thing of the past. What we have today is a system of facilitation and co-operation between the largest corporations and financial institutions and the U.S. and our intelligence agencies. We now have the “too-big-to-fails” operating with impunity as a result of an incestuous, if not outright unconstitutional relationship where the banks are acting as operational assets for the CIA, the NYPD, and other intelligence and police agencies. Perhaps one of the best kept secrets, at least from the majority of the American public, is the integration and overlap between the “too-big-to-fail-and-jail” banks and the most advanced system of surveillance in the U.S. Would it surprise you to learn that the very banks that brought the United States to the brink of financial collapse in 2008, who looted the American public and continue to engage in what most perceive as criminal behavior in the financial venue not only have ties to the CIA, but are actually partnered with the CIA and NYPD surveillance of all of lower Manhattan? That’s right, the big banks such as JPMorgan, Citigroup and others have their own desks and surveillance monitors at a facility known as the Lower Manhattan Security Coordination Center, located at 55 Broadway, deep in the center of New York’s financial district. The big banks—the very banks that have been the focus of fraud and corruption investigations have their own system of cameras, more than 2,000 in number, and operate them in tandem with NYPD surveillance cameras at a center that was funded with taxpayer money. Every square inch of lower Manhattan is under surveillance 24/7, not just by NYPD, but by JP Morgan and other members of the so-called “one percent.” Carefully consider the implications of this pact. JPMorgan Chase and others have had long and quite intimate ties with the CIA. Today, however, the line between the banks that control our financial present and future and police and intelligence agencies no longer exist. This relationship of mutual benefit permits the CIA to use the financial institutions to “handle the money” for their various global initiatives, while it provides the banks a stable of “professional assistants” to handle their “security,” whether such security issues arise in the U.S., London, or elsewhere. Highly trained and skilled CIA operatives now work within the system of interlocked financial institutions that have been at the epicenter of the most egregious crimes involving the theft from our bank accounts and retirement savings. Please stop and consider this for a moment. The very banks and their top executives who have not only brought the U.S. to the brink of financial collapse and Martial Law, engaged or facilitated in various criminal actions that resulted in fines (but no jail time) for the perpetrators, are working hand-in-hand with the CIA. Not only that, they are working in tandem with the NYPD at their surveillance centers, watching and videotaping every move made by anyone—including potential whistleblowers within their vast purview. By the way, this is no ordinary surveillance or surveillance cameras. You won’t find these cameras on the shelves of your local spy shop. These cameras can focus on the footnotes of a book you might be reading, or the words written on a piece of paper being held by an unwitting person. They employ facial recognition and other advanced visual and data aggregation capabilities, and the extent of their technological abilities is increasing every day. Additionally, the data is collected and maintained, and files are created of people and groups who are merely going about their daily lives. Equally important, files are created and maintained of problem children and groups, like the Occupy movement and others who lawfully exercise their constitutional rights to protest the actions of the one-percent. Consider this in the context of the Occupy Wall Street protests. where the protesters were not only under police surveillance, but surveillance by the banks and their corporate officers against whom they were protesting. And it was all done with the approval and assistance of the police, in this case the NYPD, and U.S. intelligence agencies. Now consider the plight of a whistleblower who wants to expose criminality within the ranks of a too-big-to-fail. The institution who is engaged in purported criminality based on the findings of the whistleblower can observe the whistleblower’s every move. Where they go, who they meet and what they are carrying to such a meeting. They can be tracked to a residence, a business, or even to their psychiatrist’s office, place of ill repute, or the residence of some significant other outside of their marriage, all of which would be invaluable for blackmail. Perhaps the potential whistleblower is clean and free from anything that might dissuade them from revealing what they know, their case could be turned over to the in-house security of former CIA agents for proper disposition. It makes the movie The Firm look like child’s play by comparison. This is not some fanciful delusion. There is proof of this that exists. The New York Civil Liberties Union (NYCLU) has documented the increasingly extensive surveillance being conducted in lower Manhattan and throughout the city. They have verified that not only are our constitutional rights being violated every minute of every day, but the fruits of surveillance by police and corporate entities are shared between the police, the intelligence agencies and private financial institutions, without restraint on the distribution on such findings. Are you engaged in a protesting against the criminality of the one-percent? Well, they one-percent are watching you, and they are literally seated right next to the police. Are you a journalist following up on possible “bankster” corruption by meeting a potential whistleblower? You better understand that the bankster target of your investigation is watching you, in real-time, with the complete approval and cooperation of the police. As documented by the NYCLU, you are likely now “on file,” and all data compiled is maintained and accessible not just to law enforcement, but to the very target of your investigation—in real time. Such surveillance and integration between big banks, law enforcement and spy agencies is not just limited to lower Manhattan or even the United States. It is also most prevalent in London and other cities where international banking is conducted. Real-time surveillance and the close working relationship between the “one-percenters,” police and the intelligence agencies gives the targets of criminal probes the ability to be pro-active when necessary. It’s all being done under the pretext of national security when it would appear that the real objective is to insulate the banksters from potential problems that exposure of their criminal actions might cause. Oh, and don’t forget that it is us who are paying for this. Perhaps we would be well advised to not only consider the capabilities of the surveillance apparatus that exists where the big banks and police are working at adjacent surveillance terminals at 55 Broadway and other locations, but the incestuous working relationship between the banks and the CIA when we read about banker suicides. Do not expect to see any exclusive report on this in the corporate media, for they, as requested have dutifully maintained their code of silence by not showing pictures of the brass name plates that identify the bankster terminals situated adjacent to the police terminals during photo shoots of this super-secret surveillance complex a few years ago. As detailed by the tenacious and indefatigable Pam Martens, journalist for Wall Street on Parade in this article, the captured media took a pass on revealing the whole truth about what’s really going on at 55 Broadway. What has been revealed here is merely the tip of the iceberg. The tentacles of the corporate elite, facilitated and empowered by the CIA, the NYPD top brass, and other agencies have now covertly and effectively succeeded in invading everything you do. The fruits of this operation are being used to advance their global financial agenda and silence the opposition. Knowing this, is it possible that the dead bodies that are increasing in number are the results of this joint surveillance operation? You will not find any answers in the mainstream media. The big banks have chosen to remain silent, even in the face of subpoenas, and have yet to face any legal consequences for their contempt. It’s not, however, merely contempt of congress or pseudo-investigative bodies. It’s their contempt of humanity, of you and me, and the victims that lie dead, leaving their families broken and wanting for the truth. This article has been reprinted with permission from the Northeast Intelligence Network. Please visit SteveQuayle.com and RogueMoney.net for headlines, reports and updates on the growing threat to our financial future. Also, tune in the The Hagmann & Hagmann Report on Monday, February 17, 2014 from 8:00-11:00 PM ET as we welcome “V, The Guerrilla Economist” and Steve Quayle to discuss this topic in-depth.